Compact analog synthesizer featuring 3 mixable waveforms - saw, square and triangle - with an adjustable sub oscillator. 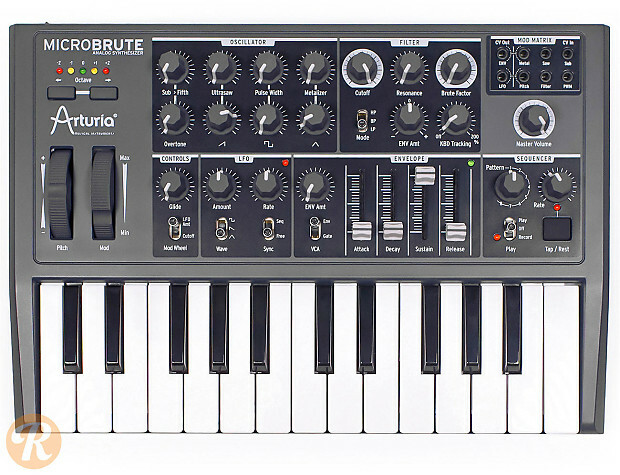 Includes the full range of analog monosynth controls including ADSR envelope, filter and LFO. 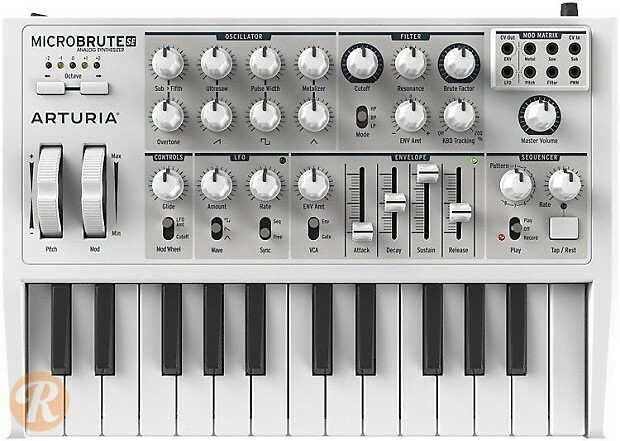 Unique features include a Brute Factor saturation circuit and additional tone shaping circuits for each wave type - Ultrasaw, Pulse Width and Metallizer respectively. The Steiner-Parker multimode filter offers high pass, low pass and band pass modes, and maintains excellent bass response even at high resonance settings. 25 mini-keys and extensive in and out capabilities, including audio, MIDI, USB and a mini CV patch bay for interfacing with vintage and modular synths.